These pads are economical and perfect for practicing technique! 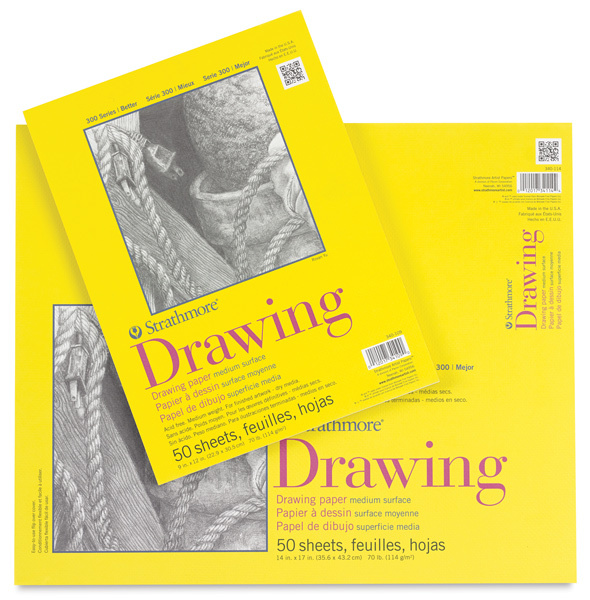 They're designed for the novice, but invaluable to any artist who needs drawing paper to experiment on. 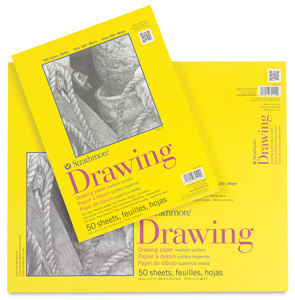 Each pad contains either 25 sheets or 50 sheets of bright white, 70 lb (114 gsm), acid-free paper. The paper is receptive to graphite pencil, colored pencil, soft pastels, charcoal, oil pastel, and markers. Pads are spiral bound on the short side. Wire bound pads feature micro-perforated sheets that are actual size when removed at the perforation. Glue bound pads feature flip over covers that make it easy to work in the pad.